Andy Knapik (’17), 45, of Corinth, door systems supervisor, died Jan. 21 in Dallas. He had worked at UNT since 2012, earned a bachelor’s in political science and was working toward his master’s degree in public administration with a specialty in nonprofit management. 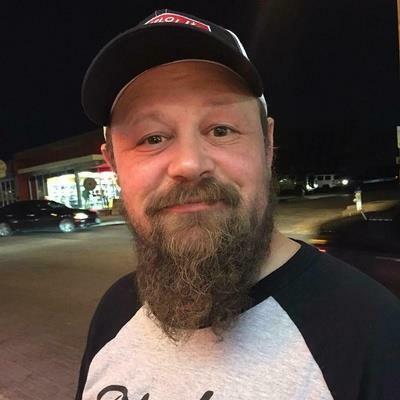 A big music fan, he was a founding member and vice president of the Denton Music and Arts Collaborative and a volunteer for the 35 Denton Music Festival. He was a UNT Alumni Association member, a Cleveland Browns fan, an artist, a carpenter, a notary public and a frequent wedding officiant. He was a devoted family man, fostering five children and adopting three children. And he was a winner of the King Kong Burger Challenge at RG’s Burger & Grill and the Golden Jesus Chili Cook-Off. Family visitation will take place from 2 to 4 p.m. Jan. 27 at DeBerry Funeral Directors in Denton, with a pot-luck reception following from 5 to 7 p.m. at Dan’s SilverLeaf. A mass will take place at 11 a.m. Jan. 28 at Immaculate Conception Catholic Church in Denton.